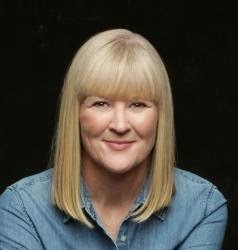 Susan Heim on Writing: Book Review: "Christmas at Rose Hill Farm," by Suzanne Woods Fisher ~ Plus, iPad Bundle Giveaway & Sign Up to Host a Book Club Brunch! Book Review: "Christmas at Rose Hill Farm," by Suzanne Woods Fisher ~ Plus, iPad Bundle Giveaway & Sign Up to Host a Book Club Brunch! Stories about “love triangles” are always fascinating, and this one is no exception. Bess has always loved Billy, whom the Amish consider a bad boy for deserting his Amish community to live among the Englischers, but that doesn’t lessen Bess’s attraction to him, even though she doesn’t go so far as to leave her Amish family behind. Realizing that Billy has chosen his new life over his feelings for her, Bess agrees to marry Billy’s cousin, Amos, who always adored Bess, too. Of course, Amos is a much more acceptable catch as he’s ready to build a life with Bess among the Amish, and any girl would be lucky to have him. Nevertheless, Bess can’t quite force herself to tell Amos she loves him … not, that is, in the same way he loves her. This is a classic story, albeit with an Amish twist, about making the choice to do the “right” thing or going against everyone’s advice to follow one’s feelings. There’s also a fun spiritual element to the tale as a mysterious homeless man appears at crucial times to give advice and guidance to Billy. Could he be an angel? 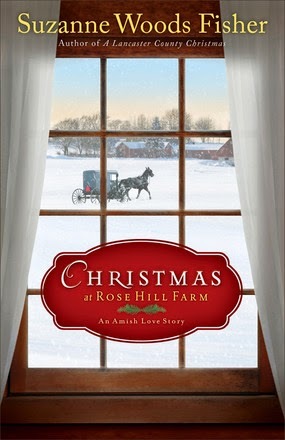 Christmas at Rose Hill Farm is a story of faith, family and love that will enchant you from beginning to end. iPad Bundle Giveaway & sign up to host a Book Club Brunch! Suzanne is hosting a "Christmas Rose" iPad bundle giveaway and a nationwide Christmas at Rose Hill Farm Book Club Brunch in November. Enter the giveaway below and sign up to host a brunch HERE. Host a Christmas at Rose Hill Farm Book Club Brunch! This fall, Suzanne is inviting book clubs across the nation to throw a Christmas at Rose Hill Farm Book Club Brunch. Sign up here between now and September 29. If you’re selected as one of the 50 hosts, you’ll receive a copy of the book plus two other Revell titles (give them away as party prizes or door prizes or keep them for yourself), a complete party kit, and a discount code to purchase copies of Christmas at Rose Hill Farm for your book club at a discount. Suzanne is also encouraging each book club brunch to collect non-perishable items for their local community shelter. She will be making a donation to her favorite charity (helping abused women and children) for every brunch that meets their goal. Click here for more details and to SIGN UP! Disclosure: I received a complimentary copy of this book for my honest review.